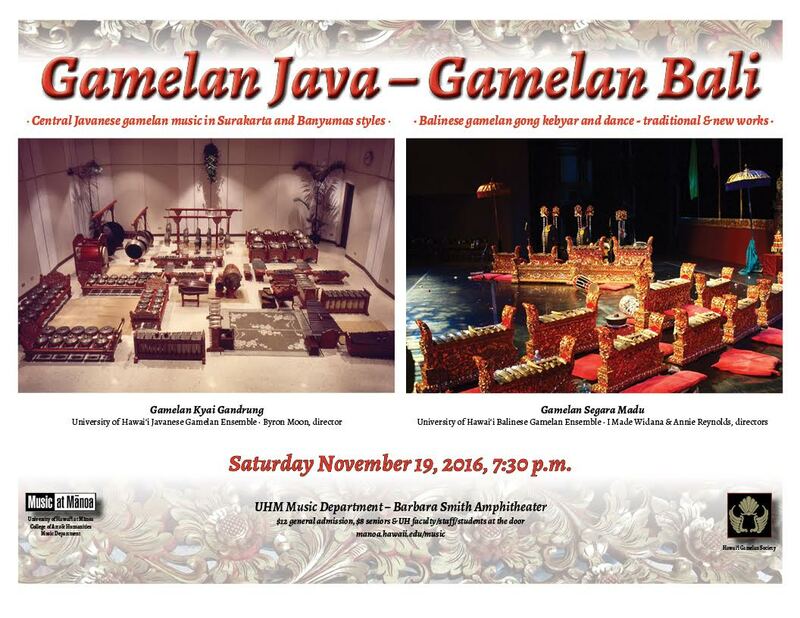 On Saturday, November 19th, there will be a 7:30 PM gamelan performance at the University of Hawaiʻi at Mānoa Music Department Barbara Smith Amphitheater. General admission is $12; $8 for seniors, and UH faculty/staff/students at the door. Performances will include Central Javanese gamelan music in Surakarta and Banyumas styles; as well as Balinese gamelan gong kebyar and dance (traditional and new works). They will be performed by UH Mānoa gamelan ensembles. Please click on the poster image below for a larger version.